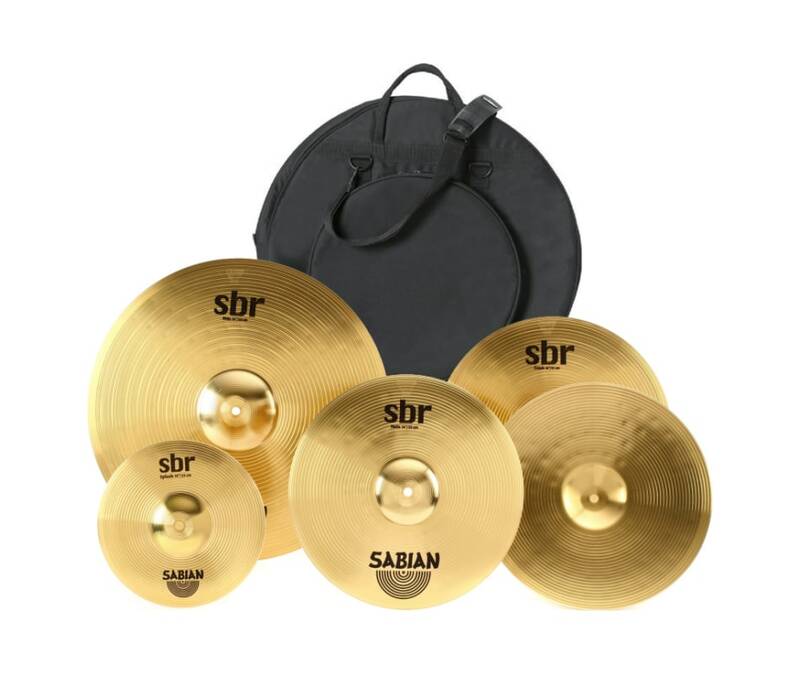 Covering all the sizes and models beginner drummers are most likely to require, the Sabian SBr Performance Set is a serious upgrade over the OEM cymbals typically provided with starter kits. Lets face it - at this price point, most manufacturers refuse to put their logo on the starter cymbals they manufacture. But a prominent Sabian logo lends SBr cymbals instant credibility. And they look the part too, with deep, large-peen hammering and pinpoint lathing - the same hand-guided, high-pressure hammering and hand lathing that Sabian lavishes on its expensive bronze cymbal series. If this is your first kit, the SBr Performance Pack offers the tonally tight sounds only Sabian Brass can deliver. 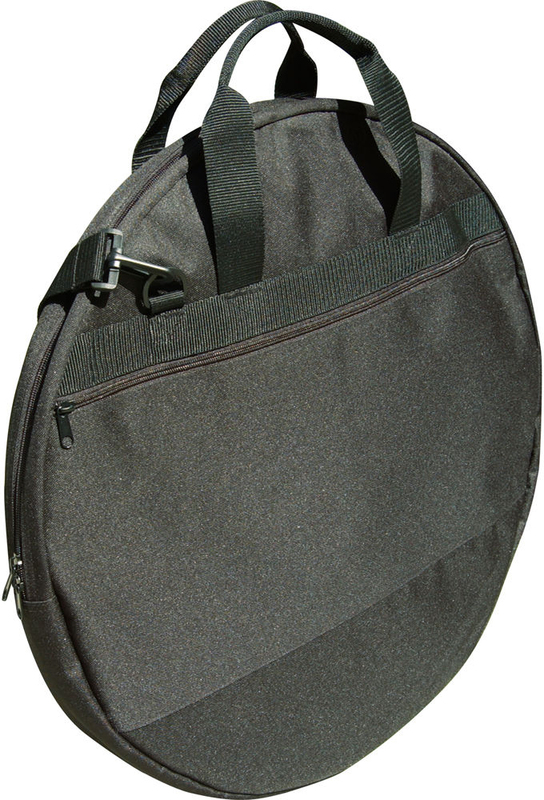 The Kaces Xpress Series cymbal bag is designed as a great lightweight solution to carrying a small assortment of cymbals. The bag is made from durable, 8mm padded 600D polyester, and features an exterior zippered accessory pocket, heavy duty webbing carry handles and a removable shoulder strap. Can hold 3-4 cymbals up to 20" in diameter. Pure brass cymbals with a great look and sound, SBr is the ideal choice for drummers getting into their first set of cymbals. 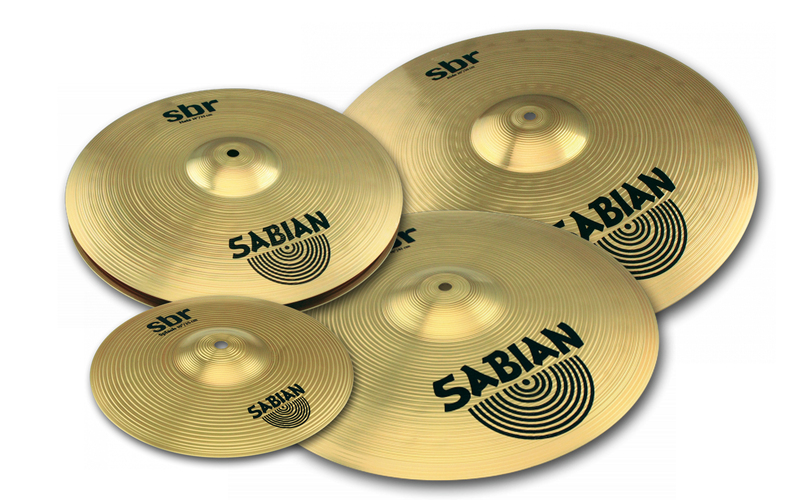 The Sabian SBR Promo pack includes a 10" splash, 14" hi-hat pair, 16" crash, and a 20" ride.